A war that has killed thousands of civilians and displaced hundreds of thousands more, but Yemen continues to stay out of the international spotlight. On the backdrop of a Saudi-led intervention, a humanitarian crisis is unfolding in the country, as ISIS and Al-Qaeda gain ground amid the chaos. Who needs to take action? And how? 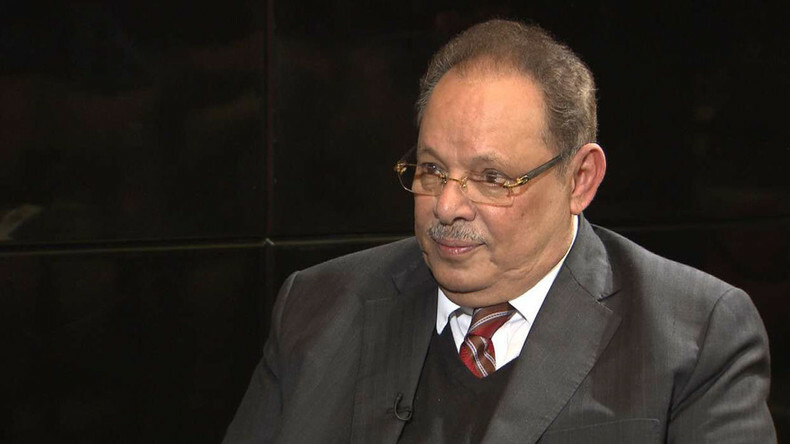 Former Prime Minister and former President of South Yemen – Ali Nasir Muhammad is on SophieCo to discuss this. Sophie Shevardnadze: Mr. Ali Nasir Muhammad, former President and Prime Minister of Yemen, it’s great to have you with us today. Welcome to our show. I will start with a quote by the chief executive of Oxfam, Mark Goldring, who said that, “Yemen is being slowly starved to death… the cranes in the ports were bombed, then the warehouses, then the roads and the bridges. This is not by accident. It is systematic.” Do you think that Saudi Arabia wants to win the war by starving the opponent? Ali Nasir Muhammad: Well, in fact, Yemen has experienced more than 60 years of wars and conflicts, both in the South and in the North, before the unification in 1990 and after the unification. But this current war in Yemen is one of the most atrocious in Yemen’s history. I spoke out against it at the very beginning of the hostilities. Violence breeds violence. I demanded that the parties sit down and use the language of dialogue rather than resort to violence. The war has by now killed or wounded dozens of thousands and has left some 21 million people in dire need of humanitarian aid. The war was a devastating blow to children and women, it has destroyed Yemen’s economy and its military capabilities. Right now we demand that this war should be stopped. SS: We are going to go through this step by step and I would like to hear your thoughts. You should know best, after all. Saudi Arabia says that thanks to their blockade the Houthi administration in the capital Sanaa is on the verge of collapse. Is that true? Can you confirm this based on your sources? ANM: From the very beginning, I stated clearly that I vehemently oppose the war. I demanded that both parties sit down at the negotiating table and start a dialogue. I urged the parties to stop fighting and to lay down their arms. Yemen today is more than one army or intelligence service and there’s more than one president, unfortunately. I’m going to talk about the Houthis in just a moment, but first I want to say that several weeks ago I visited Lebanon and spoke with the new Lebanese president, Michel Aoun. Lebanon has experienced a period when they had a state without a president which lasted for two years; much like in Yemen, but in Yemen today we have a president without a state - and I openly admit it. There are many stakeholders to the conflict, and more than one president. Yemen has become a playground for conflict, a playground for wars, a playground even for terrorist groups like al-Qaeda and ISIL. Now going back to your question about the Houthis - they are also called Ansar Allah. When they entered the capital, Sana’a, - and this is a very important thing that I want to clarify - they did it upon the agreement and with facilitation from the current president Abdrabbuh Mansour Hadi. When they entered a city called ’Amran, then Sana’a, the president did not say that the capital had fallen. Then, they entered Aden, the former capital of the People’s Democratic Republic of Yemen upon an agreement with ex-President Saleh. So one president had them enter Sana’a, and ex-President Ali Abdulla Saleh let them enter Aden. When they entered the capital I met with them and talked to them. First, I advised the Houthi leadership, when they entered Sana’a, I gave them three recommendations. The first recommendation was that they should not enter South Yemen, or what is called “the former South”, that used to be The People's Democratic Republic of Yemen. Secondly, I said they should not come near the border with Saudi Arabia. Thirdly, they should not come near the Bab-el-Mandeb Strait, and, fourthly, they should not doubt the legitimacy of President Abdrabuh Mansour Hadi. What I wanted was for all the issues to be resolved peacefully. Of course, we know there are a lot of problems today. There’s a lot of debate on the intervention by international and regional players in the war. Yemen has become the battlefield of regional conflict and the battlefield of international conflict. But what is needed is dialogue. SS: Yes, and that’s what I want to talk about further. We need to know what’s happening right now. So, what we have: the richest country, Saudi Arabia, has been bombing the poorest country, Yemen, for 15 months now. Is the security threat from the Yemeni insurgency really so high? ANM: Frankly, as I stated, I am against the war in principle, regardless of who uses the weapons, the Houthi rebels or Saudi Arabia. This does not serve anyone’s interests, neither the interests of Yemen, nor in the interests of Saudi Arabia’s nor the interests of other Gulf or Red Sea countries.The war inflicted serious damage to the security and stability of Yemen and the whole region. To be honest, unfortunately, Yemen now is in the worst condition in its history, because of the huge damage to the economy, the army and security, the interests of the Yemeni people. People are fleeing Yemen to neighbouring countries for the first time in history. We had wars in the past but they wouldn’t last long: a month or two, or a week. We suffered wars in Yemen. It happened under my watch, when I was president of The [People's] Democratic [Republic of] Yemen. But as soon as a war started, dialogue also started, which would lead to peaceful solutions. I had a chance to speak to the UN special envoy for Yemen, Ismail Ould Cheikh Ahmed. I demanded that the war be stopped, I demanded that the sides form a national unity government. I demanded that a government be formed for the country. For that to happen we need the militias to lay down their arms. The problem is that we currently have more than one army in Yemen. There is the army that supports Abdrabuh Mansour Hadi, there are the Houthis, there is Ali Abdullah Saleh’s army, there are Salafi fighters. It’s a war that’s going on between multiple armies. Our goal must be to create a national unity government and one president, one army, one shared security. Not multiple armies. The chaos in Yemen today only serves the interests of terrorist groups like al-Qaeda, or so-called Islamic State. SS: How is it possible that the Saudi army, one of the best equipped armies in the region. You are saying Yemen is in tatters, there’s a blockade, people are dying, fleeing - but still this army cannot defeat irregular militia units? ANM: These units used to be part of the Republican Guard under the command of the President of the Republic, Ex-President Ali Abdullah Saleh. The majority of Yemen’s army has joined the Houthis. Even the weapons they are using are not the weapons of militias, they are the weapons of the former South Yemen, which were mostly supplied by the Soviet Union, and the weapons of the former Yemen Arab Republic - American-made weapons. The weapons used by the supporters of Houthis and those who support President Saleh are the weapons they seized from the army. Saudi Arabia is undoubtedly a strong country, it’s an oil-rich country, a country that has weapons. And it is not alone in this war. The United Arab Emirates, Kuwait, Qatar, and even Bahrain have joined this war on the side of Saudi Arabia, plus there’s Sudan and Egypt - whose participation is symbolic. Also, there are other forces, which I would prefer not to name, from outside of Yemen and outside of the Arab world participating in this conflict.We believe, I’ll repeat again, that a continued war is not the solution to the problem, that’s why we call on our brothers in the region, first and foremost to the Saudis to stop the war, and we demand that the UN interferes to stop the war, because the war is a threat to Yemen and a threat to the countries of the region. I met with Saudi officials and talked to them, I met officials from the United Arab Emirates, the UK and the U.S. this month. I asked them to help us work out a peaceful solution for Yemen. On our part, we would be willing to work with our brothers in the region, with the UN special envoy for Yemen, Ismail Ould Cheikh Ahmed. You know what war is like. During WWII, the Soviet Union lost 20 million people. Your country opposes wars, you suffered from wars, you made sacrifices for peace. Even Europe knows what war is like. Unfortunately, the Middle East has become the site for conflicts and the site for wars today. It’s our nations, and the poor Yemeni people in particular which suffers a lot from poverty and disease, and pay a heavy price today. SS: What will the Houthis do if Saudi Arabia pulls out of the war? Will they establish control over a large part of the country? ANM: I don’t want the Houthis to capture power. I want the Houthis to be part of the political process as a political party. I am not on their side. I, personally, oppose the eradication of Houthis, they’re a potent force in Yemen and cannot be ignored. Nor do I support the eradication of ex-president Ali Abdullah Saleh’s General People’s Congress. And I am against the alienation of any other party. Any party that stands for dialogue is welcome. We need a peaceful solution. SS: Saudi Arabia believes that Iran is behind the Houthis. Do you share their concerns? ANM: I often hear allegations about Iran’s intervention. I will speak on this subject. I speak frankly because I have contacts with people in the South and in the North of Yemen, and even in Iran and other regional powers. The foundations of the relations between Yemen and Iran are strong. When I was president of the People's Democratic Republic of Yemen, ‎ we had relations with Iran. I remember I visited Iran for the first time in 1986. SS: But you didn’t answer the question - is Iran behind the Houthis? Yes or no. ANM: No doubt, Iran has ties not only with Houthis, Iran also has relations with Syria, it has relations with Iraq, it has relations with Hezbollah. Even with Yemen - I state it with all frankness - when I was in power in Aden, we also had ties with Iran. I am not denying it. We had relations with Iran when Iran was refining oil in Aden refineries, it was the largest refinery in the Middle East. Iran was refining three million six hundred thousand tons of oil in the refinery in Aden, because the refinery was facing a problem. The company that was managing the refinery is called BP - a British company. When they left we made use of our relations with Iran. Concerning Iran’s relations with the Houthis, there is no doubt, that they maintain some kind of dialogue. The Houthis visited Iran repeatedly, just like they visited other countries in the region. They also went to Saudi Arabia, Oman, there is no secret in their communications with Iran, and no secret in their relations with Oman, and no secret even in their relations with Saudi Arabia. Their leadership visited Saudi Arabia several times. But the most important thing for us is to put an end to this war by peaceful means that would contribute to security and stability, because stability in Yemen would mean stability for the whole region. SS: Why do you think the world media is keeping silent about this conflict? ANM: Thank you for this important question. Unfortunately, this is what is happening. We don’t want this war. We need to stop it. We don’t want the media to just talk about it. We want it to stop, we don’t want more media coverage. I do not want to go into detail about mass media, the role of the mass media, the media is an important weapon in modern wars, but the media buzz about this war is not the most important thing we want. The most important thing is for the war to stop. SS: But it is important that the media covers this conflict extensively, from all sides. Does it seem strange to you that people die every day but no-one reports it? ANM: Unfortunately, this is what is happening. When it comes to the media coverage of this war, we want it to cast a light on the humanitarian problems and issues. Children die. Women die. As I mentioned, there are more than 21 million people now who live beyond the poverty line, in need of humanitarian assistance. People need food, as the United Nations admitted. They need food, they need medicine. We need help to rebuild Yemen after this war. But the first thing to be done, before we even talk about rebuilding and sending medical and humanitarian assistance, we need to put an end to this war. Russia has played an outstanding role in Yemen, I say this with all frankness. Its embassy in the capital - Sana’a still operates, it did not shut down like the other embassies. ANM: Not any more. I do not even think about power. I am only thinking about a solution for this war. I was asked to become president of the united Yemen in 2015 but I refused. For over 15 years I have refused to go back to power. ANM: Yes! But I am not thinking of returning to power, I want to go on with what I am talking about. I had a taste of what power is like many decades ago. I went all the way from governor to Defence Minister, to Prime Minister and President of Yemen. Power is not something that interests me. I have been scorched by the flames of power, I am not looking for a role for myself in Yemen anymore, I am looking for a solution for the problems of the Yemeni people. SS: Do you see any person who can take the situation under control and solve this problem? ANM: I say really think that such a person does not exist, because there are so many forces and so many centres of power in Yemen. Nobody can take power in Yemen unless there is national consensus – there must be national consensus first. When I was offered power in 2015, I demanded that national consensus is reached first, both in Northern and Southern Yemen. This is first. There must be an understanding between the countries of the region. The countries of the region became parties to the war, parties to the conflict and parts of the solution. Three things. They are parties to the conflict, then to the war, too, then to the solution. So I said that first we need an internal consensus, then regional consensus, then a consensus on the international level. So no person on his or her own can resolve the issue. I will be honest with you – the decision does not lie with only the Yemeni people. Once the Yemenis have found consensus, they need to establish consensus with regional forces and consensus with the United Nations. Yemen is under custody now. Russia could play a role in facilitating the settlement process. SS: Is it possible to divide the country once again? Could it ease the tensions? ANM: The unification process was spontaneous and poorly prepared. Back in the 1990s I called it the flight to unification. The leaders of the North and of the South had their problems. The South wanted to escape to unification as they had internal problems, and the North had internal problems, too. They thought these issues would be automatically resolved after the unification. But there was no foundation for the unification process. I supported unification back then, and I blessed it. However, unification should have not been done this way. It had to be done gradually. So when I was President, I made gradual steps towards unification. First, there were armed conflicts between the North and the South. I stopped the war. Second, we engaged in dialogue. We established joint projects in road construction, water and energy systems. We had a single syllabus for history and geography in our schools in Yemen. Another point is that we also set up the Yemeni Council and called it the Supreme Yemeni Council, for better coordination. All these were steps on the road to the unity of Yemen. When I left power, those who ruled in Aden after me accelerated the unification process and were too quick to merge. But when they had a row with President Saleh in 1994, they said they were going to secede. The secession was supported by the Gulf states but it did not last long. I spoke out against the war and said in 1994 that dialogue must prevail between the south and the north. I proposed a solution back then - the creation of two regions, the North and the South. This would have created a federal state in Yemen, like you have today in Russia or like it was in the Soviet Union. A federal state of two regions, the North and the South, and a federal government for the country. Unfortunately, they rejected my proposal and that led to a war which provoked deep conflicts within society.I don’t want to go into detail but eventually it led to demonstrations that were called in the South “peaceful protests” and what was called in Sana’a the Youth Revolution or what became known as the Arab Spring revolutions. We hope Yemen can survive this ordeal. Dividing the country again will not solve the issue. We think that it is necessary that, well… I proposed the idea of having a federation if the people of Yemen want it. But it’s up to the Yemenis to decide. SS: What can Yemen expect from the newly elected U.S. president? What kind of U.S. policy could help your country? ANM: I hope the new president and the new U.S. administration will help us find a peaceful solution to the conflicts in Yemen, in Libya, and the region of the Middle East in general. Yemen is not in a position to fight with the new U.S. administration.Former Secretary of State, John Kerry, visited our region several times and met with parties to the conflict. He met with the parties to the conflict in Yemen, and he presented his proposals for a solution in Yemen. His draft proposals were rejected. Now we are waiting as the new administration in Washington is established. We hope for best, not worse. We expect help from the U.S. administration. I met with American and British officials recently in Lebanon and asked them to help us find a solution. SS: Mr. Muhammad, thank you for sitting down with us, and good luck.